Leg injuries in athletes are usually the result of overuse or sudden acute trauma. Runners and athletes like basketball players who engage in repetitive running and jumping have a higher risk of leg injuries. These injuries range from common strains, muscle cramps and muscle soreness to more serious injuries. Other injuries include stress fractures (overuse fractures of the legs and feet) and chronic exertional compartment syndrome (CECS), which occurs when the leg muscles swell, causing pressure and creating pain. An anterior cruciate ligament (ACL) tear in the knee is also a serious leg injury that is common among athletes. Next to prompt and proper diagnosis and treatment, return-to-play decision making can have the greatest impact on an athlete’s recovery. It is our philosophy that athletes be given the best evidence available to guide their time frame for return to sport and physical activity. 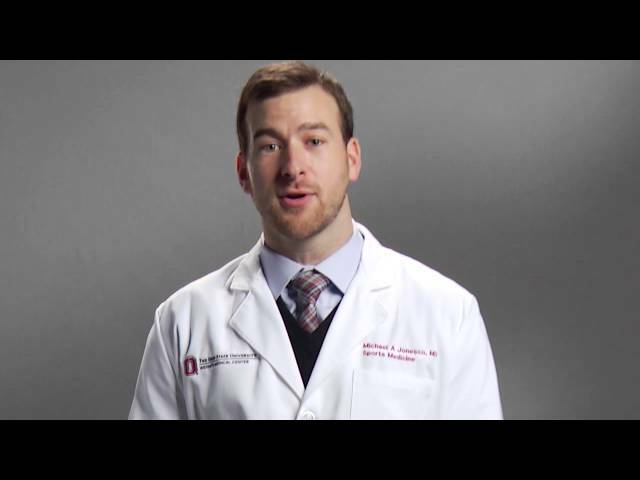 Dr. Michael Jonesco explains the diagnosis and treatment of stress fractures, as well as ways to prevent injury. Our experts share how to handle stress fractures to get back to your regular activity level as quickly and safely as possible. We always exhaust all possible nonsurgical methods before proceeding with surgery. After a risk assessment of your injury, you may need to reduce activity and/or the intensity of training. Soft tissue injuries to the legs such as sprains or strains are most commonly treated with ice initially. Heat treatment may be used on tears to the leg muscles or tendons to help stimulate the blood flow necessary for healing. Immobilization in a splint or brace, along with limited weight bearing with crutches, may be required for initial treatment as well with more severe injuries. Osteopathic manipulative therapy, or the use of manual pressure, can be employed to relieve pain for many musculoskeletal issues and repetitive stress injuries. 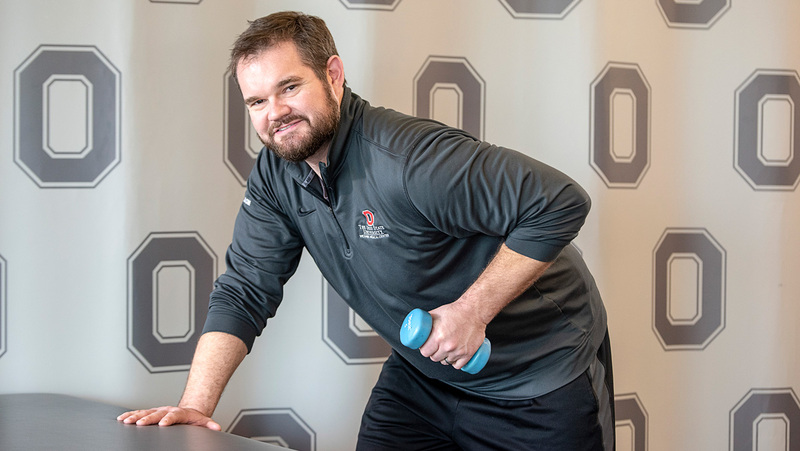 Our osteopathic physician will complete a thorough physical examination and determine the most appropriate stretching, resistance or use of pressure technique that will help ease your pain or heal your injury. Osteopathic manipulation can be a complement to your physical therapy or injection therapy as well. The conservative – albeit sometimes short-term – solution to many leg injuries is to adjust your exercise routine or use nonsteroidal anti-inflammatory drugs (NSAIDs). Most stress fractures heal with relative rest and activity modification. For certain tibia injuries, immobilization with a splint, protective boot or crutches may be necessary. Exercise prescriptions could come in a variety of formats. Specific movements may be suggested to stretch and strengthen key leg muscles. Biomechanical adjustments to your technique or form may help alleviate pain. You may have to take a complete break from your sport or switch to a low-impact activity such as swimming to allow the injury to heal and/or prevent recurrence. Orthotic shoe inserts may be required to alleviate activity-related pain in the foot or throughout the lower extremity. 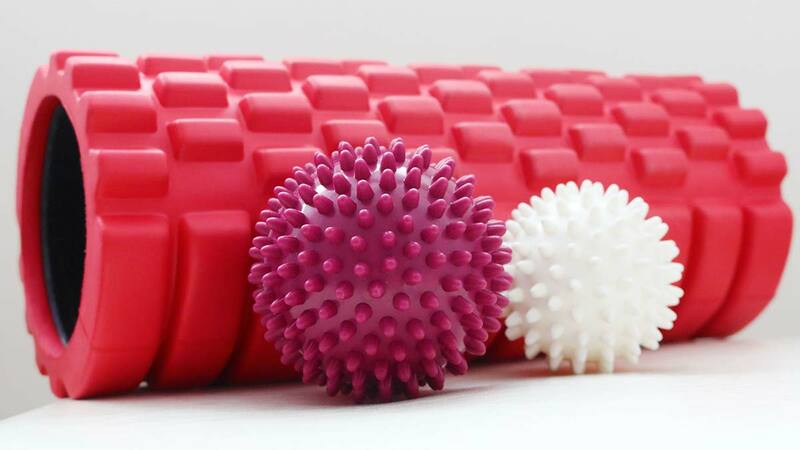 These can be designed and constructed by our physical therapists upon recommendation and referral from our physicians. Chronic exertional compartment syndrome, or CECS, occurs when lower leg musculature expands and creates pain and pressure, potentially causing numbness in the foot and cutting off vascular supply, thereby impeding movement. Surgeons use needle manometry – a needle fixed with a pressure gauge – to measure the pressures within the muscular compartments. Once the diagnosis is confirmed, the surgical procedure to release the pressure involves making a slit in muscle casing to give the muscle more room to expand when activity demands it. This relieves the pressure and helps restore blood flow, which diminishes foot numbness, allowing you to resume regular activity. This is one of the most preferred surgeries for tibial fractures. A metal rod is inserted through the knee and into the tibia to stabilize the bone from the inside out. An intramedullary “nail” is maintained in place while the fracture heals. This procedure usually results in a firm bonding of the fractured tibia and protects the remaining portions of the bone from later injury. This is another procedure that can be used for significant fractures. Metal screws or pins are externally affixed to the bone above and below the fracture. A bar is then attached to the screws or pins outside the skin to keep the fractured bone to maintain stability either temporarily or until the fracture heals. This surgery is somewhat less invasive than intramedullary nailing. When other surgical procedures are not an option because the fracture runs into the knee or ankle joint or if there are multiple fragments present, plates and screws can be used. First the bone fragments are realigned and then they are held in place using surgical screws and metal plates. 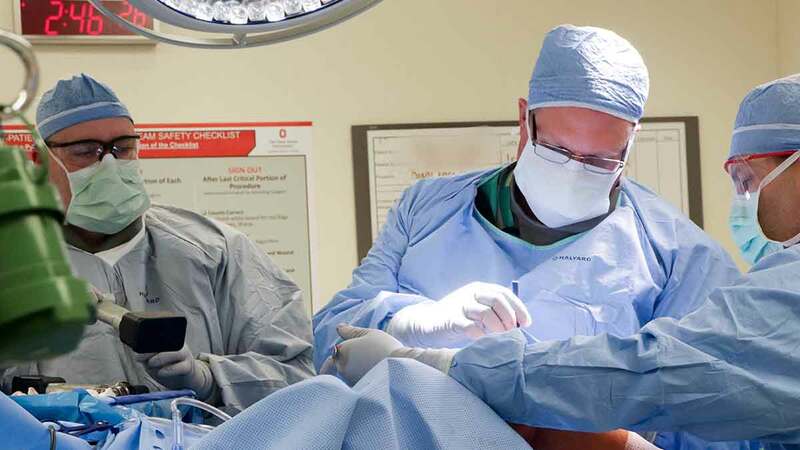 Why choose The Ohio State University Wexner Medical Center for treatment of sports-related leg injuries? Diagnostic expertise: We introduced the first-ever system for diagnosing and classifying stress fractures. This five-tier system includes fracture grade, fracture location and imaging modality. Our industry leadership in developing better ways to diagnose your condition leads to quicker and more appropriate treatment, which means you’ll heal faster. Innovative research: Our sports medicine research on chronic exertional compartment syndrome (CECS) is designed to ultimately develop a multicenter database for collecting outcome information on this condition as well. High-level training: We offer fellowship-level physician care and physical therapy. That means our providers have completed up to two years of intense, specialized experiential training in the field, which translates to extensive proficiency in patient care.